It is time to announce the Design Team Favorite Picks for week #60 - Use a Hoarded Item!! This is always our hardest week to choose favorites! Thank you to all who played along you really make it sooo hard to choose a favorite! Here are the ones that really stood out to our team..
Holly Said: I love the hoarded digi image and the papers together, what a cute image and so well colored. Loved her fabulous design. Holly Said: Anja has the cutest little married couple and the hoarded paper she used is so darn cute with them. Love the corner design! I may have to KopyKat that one! 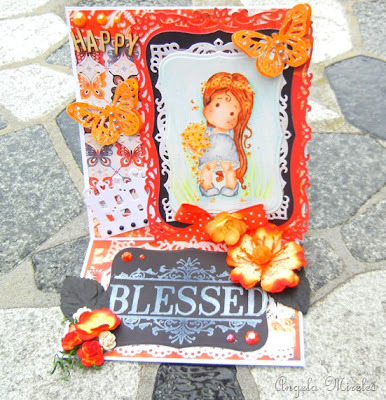 Shanna Said: I love the papers she used and how she did her image and embellishment. Dangina Said: If you haven't see the gorgeous transformation of the wooden seat, you should really check it out. Beautiful turn out and I especially like the Magnolia image she added to the top. Ivonne Said: This card is so beautiful. I love the color combo and the cute Tilda image. The coloring is amazing! Olivia Said: #49 Clarissa-a beautiful card, love the color palette, layout and her coloring. Athina Said: I love that image and the banner at the top! Just adorable! Jackie Said: Love the fold that she used for her card, as well as her coloring was amazing along with all her details on her card! Awesome Job! 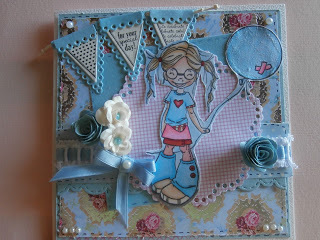 Marcy Said: #93 Distressed Miss-Great design fold on her card and gorgeous details. Her coloring is so beautiful. Laura Said: Wow! This is just amazing! The coloring is stunning, that foild is gorgeous, the detailing is beautiful and I love the color pallette and pretty flowers too! Just an all around gorgeous creation! Oh wow!! 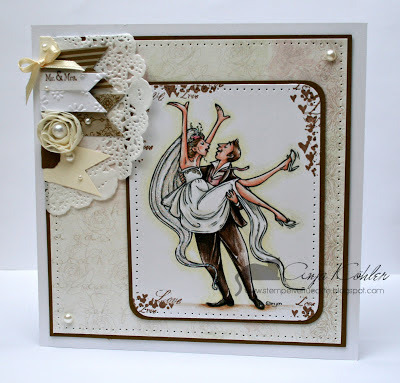 Thank you so much girlies for choosing my card as 1 of your design team picks I am honoured. Love all your work and always enjoy your challenges. Thanks a lot, Holly and the rest of the team here at Loves Rubber stamps, for choosing my card as your Fave Pick. I truly appreciate it. God bless! Thank you so much Dangina for choosing my altered chair, it was such a fun project to do!